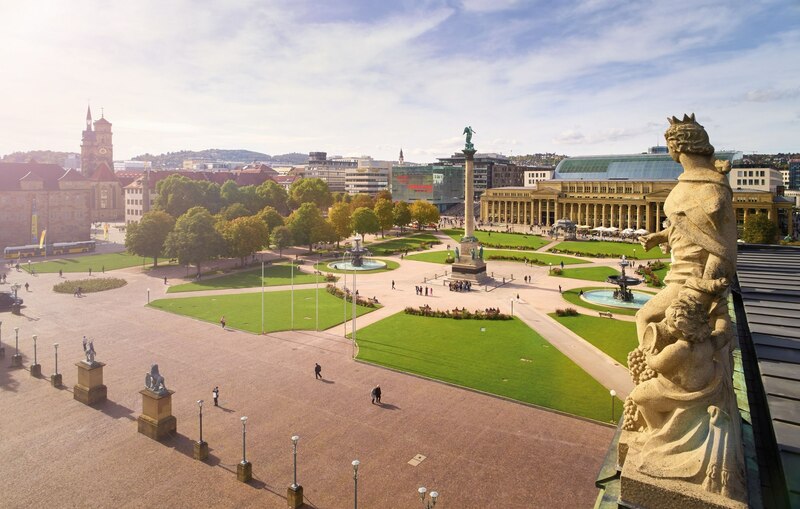 Stuttgart's tourism sector continues to grow and registered positive results for 2017. With a total of 3.8 million overnight stays and an increase of 2 per cent compared with the previous year, in 2017 the state capital achieved its best tourism figures to date. The seasonal development in 2017 was very evenly distributed. With 347,305 overnight stays and a rise of 20 per cent, May was the month with the greatest increase in the course of the year. March, too, chalked up an impressive growth rate of nearly 12 per cent compared with the year before. Despite a reduction of 4.3 per cent and 353,540 room nights, October continued to be the month with the greatest volume in the year. December, with a rise of 4.5 per cent (313,276 overnight stays) brought the year to a successful close. Apparently the shorter duration of the Christmas Market had no detrimental effect. Germany, the most important source market for Stuttgart's overnight tourism (mainly from Baden-Württemberg, Bavaria, North Rhine-Westphalia and Hesse), totalled 2,629,836 overnight stays and a rise of 2.2 per cent. Growth rates in the case of domestic visitors were more pronounced in 2017 than for guests from abroad, where there was an increase of only 1.6 per cent (1,151,728 room nights). Despite a fall of 7.3 per cent, the USA remains Stuttgart's most important foreign market, with 171,518 overnight stays. With a total of 139,334 room nights, Switzerland clearly took second place as a successful tourism source market. After several years of continuous growth, it no longer showed an increase, but a decline (minus 4.4 per cent). Great Britain again retained its third place with 70,530 overnight stays. The Chinese market once more ranked fourth (64,962 room nights), with Austria in fifth place (56,510 room nights), closely followed by Italy (55,951 room nights) and France (51,113 room nights). There was a noticeable drop in the number of tourists from Arab countries (24,376 room nights). India, on the other hand, again showed an increase (39,053 room nights) in 2017. "Results for 2017 are good, though the rate of growth was rather more moderate than in previous years," says Armin Dellnitz, Managing Director of the Stuttgart-Marketing GmbH and Regio Stuttgart Marketing- und Tourismus GmbH. "Tourism in the Stuttgart Region depends to a great extent on a well-functioning economy. 70 per cent of our guests come here for business purposes. If we want to maintain a high occupancy rate of our hotels while the number of beds increases, we will have to intensify our endeavours in the coming years: constant improvement in the quality of our tourism offers and the creation of new attractions. The Stuttgart Region must become increasingly tourism-oriented. That is a major challenge and an obligation to all those who profit from the tourism industry."